(P1) A new study suggests that giving most antidepressants to kids and teens with depression is useless, and may even be harmful. Scientists took a look at 34 trials involving 14 antidepressants and 5,260 subjects with an average age of 9 to 18, the research study notes. Drugs studied included sertraline, sold under the brand name Zoloft, and escitalopram, or Lexapro. Findings? 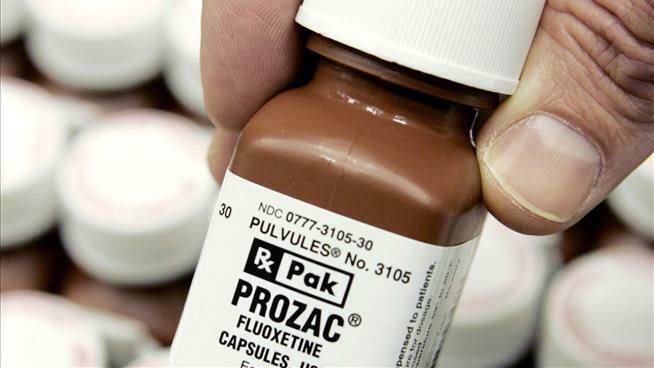 “The only one that is better than placebo and other drugs is Prozac [fluoxetine],” says the study’s lead author, reports the AP. Venlafaxine (Effexor), meanwhile, may actually pose a danger to youngsters: Subjects who took this drug showed an increased risk of suicidal thoughts and actual attempts compared to those who used placebos and five other antidepressants. The study was published in the Lancet journal. Do you agree or disagree that giving antidepressants to kids and teens may be harmful? Why? Should drug companies perform more studies into the effects of their drugs? Why or why not? How many people and drugs were included in the new research? The people who are doing the research say the information trustworthy ? Which drug was discovered to pose a danger to teenagers in 2015?